A couple of photos I took with my crappy old iPhone 3gs yesterday as the Endeavour crawled down Crenshaw Boulevard in South Los Angeles. I have a bunch of photos yet to be downloaded from my Nikon -- hopefully later. 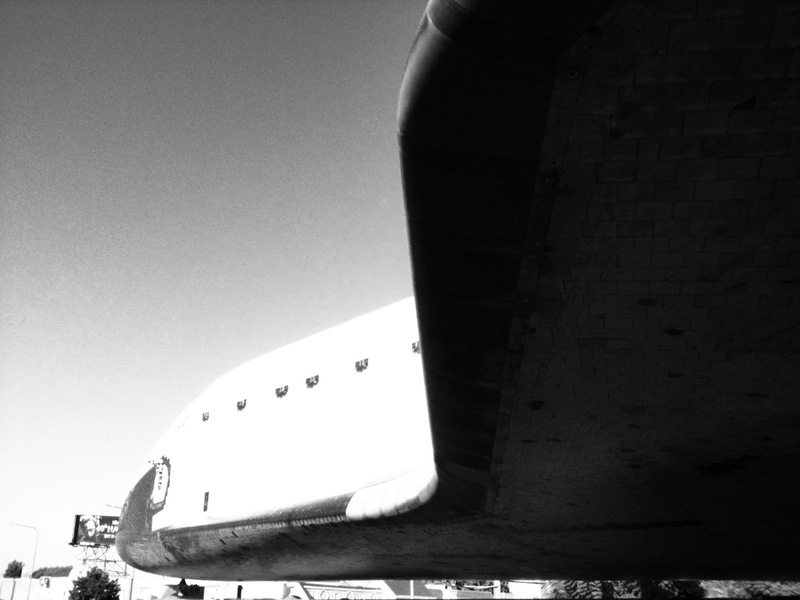 As you can tell from the photos, getting close to the Endeavour wasn't exactly a problem. The photo at bottom needs better processing, but you get the idea.